It’s time for a new episode in the recently launched series, Where to retire to in Romania, on this blog. After sharing with you a suggestion that’s well off the beaten tracks of the regular recommendations, it’s time to get back to what’s probably the most common destination for expats considering Romania: Bucharest. The country’s capital and the place where all the action, the high life, the good and the ugly take place. And in this article we’re going to find out more about Bucharest: why it should be considered as a good destination when retiring to or visiting Romania, and why not. 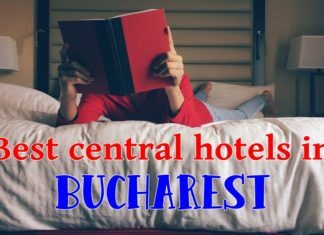 If you read previous articles published on this blog, you will easily find out that I am not the biggest fan of Bucharest, despite living here (or maybe just because I did!) for almost six years in the past. But the fact that it’s not my favorite doesn’t make it a poor choice: on the contrary! I know that it does have the biggest plate of offerings compared to other cities in Romania, so you might love it. But there are also Cons as well and we’re going to talk about them all today. 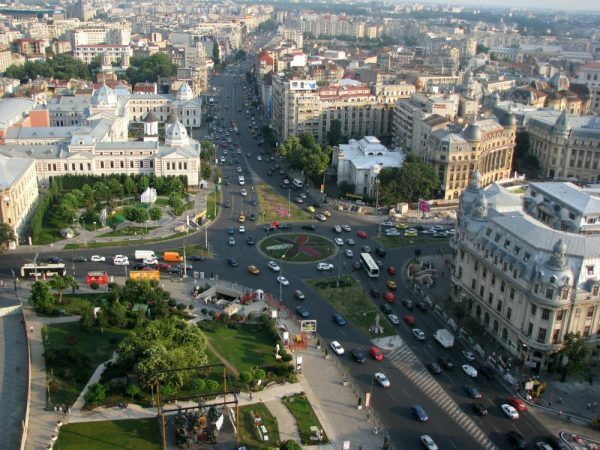 What should you know about Bucharest? This is the Capital city of the country and also the largest city in Romania. It’s always bustling with life and this is the place where most of the major events happen: concerts, festivals, expos, conventions, cultural events… just think about something and you’ll be able to do it or find it in Bucharest. This is also the place where you’d have more chances of finding a job if you need one, with international companies having their offices located in the city or in the nearby village/neighborhood, Pipera (known as the heaven of corporations here in Romania). Since this is Romania’s richest city, with the highest income per person, you will have a lot of options here: from high end, luxury items and totally extravagant products and services, to dirt cheap-stuff like in the rest of the country. There’s also a vibrating expat community in the country – the largest in Romania, so you will find it a lot easier to meet up with fellow expats who will help make the transition a lot easier. Also, there’s a ton of students in Bucharest since this is also the most important educational hub in Romania, so you will find open minded, English speaking people everywhere. 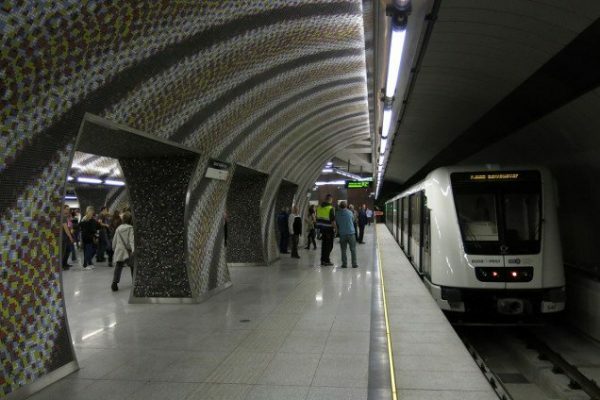 Public transportation is decent in the city, with the Metro lines being expanded as we speak – but already covering the most important areas, especially the city center where you’ll probably hang out more. Buses, trolleys and trams are also available to reach the places that the trains don’t, but they rarely arrive on schedule, most of them have no air conditioning, are of poor quality and usually crammed with people. The same can be said about traffic: it’s chaotic, it’s intense, it’s nerve wrecking and people used to obeying the laws and driving following rules will have some adapting to do. 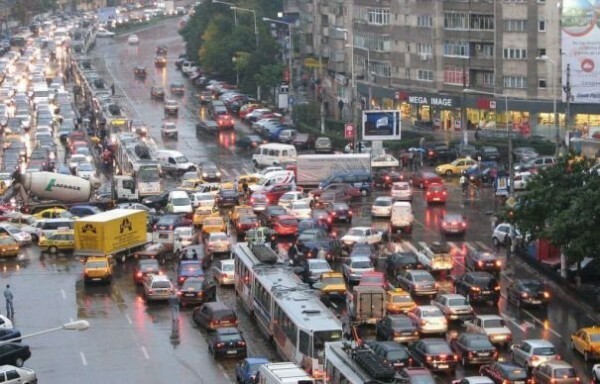 Just to have an idea on how bad the traffic in Bucharest is, know this: my brother in law who lives in a village that is basically glued to the city now thanks to its continued expansion drives from home to the nearest metro station (5-10 minutes of driving), then takes the metro to work. 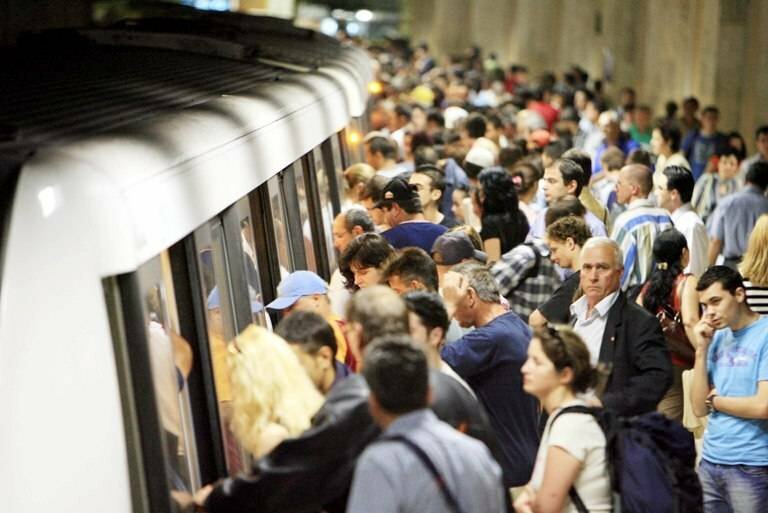 A 15-20 minutes long subway ride can easily turn into 40-60 minutes stuck in traffic. Plus, you will have a HORRIBLE time finding a parking spot. In terms of health care, you would probably have the best options in the country here in Bucharest. Private health care is cheap compared to the rest of Europe and of decent to high quality, many private health care providers offering now discounts and memberships, making everything extremely affordable. Usually, consulting a specialist will cost around 100-150 lei (23 – 33 Euros), as opposed to 50 lei in smaller cities, but you will have access to highly trained individuals and, very important, extremely modern equipment. My wife gave birth in a Private Hospital in Bucharest and the whole package (C-section delivery, 6 nights for my wife, my newborn son and myself in a private room, collection and storage of Steam Cells plus everything that was needed during our stay, including food, bloodworks, meds and such) were a bit over $3,300. A basic package can be as low as 1,500 Euros in a high end private hospital here in Romania. 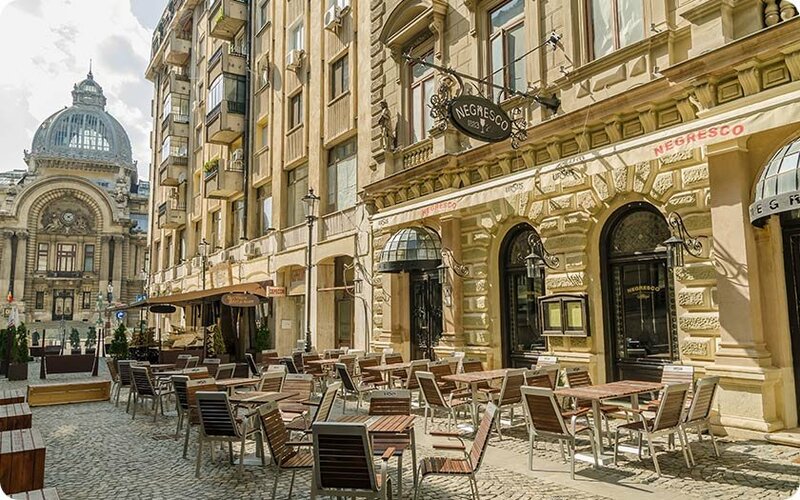 What will you love about Bucharest? The largest civilian building in the world, it’s a truly impressive attraction, right in the heart of the city. There are days when you can visit part of it – and relatively soon the equally impressive People’s Salvation Cathedral will be built next to it, creating one of the biggest architectural projects in the world. If size matters, you’ve got it all here! Charming and considered a tourist-magnet, the Old City Center is filled with pubs, restaurants, clubs and stores in beautiful old buildings. I love it there and the prices are not big at all for a touristy area. Unfortunately, the condition of many buildings there is not that great and some are actually considered dangerous and at risk of collapsing in the case of an earthquake, but that’s where all the charm of the city is and it should be the first place you visit when you come here. There are a lot of nice museums to visit in the city, including the National Museum of Contemporary Art, Grigore Antipa National Museum of Natural History (my favorite as it has a ton of fancy animals there! 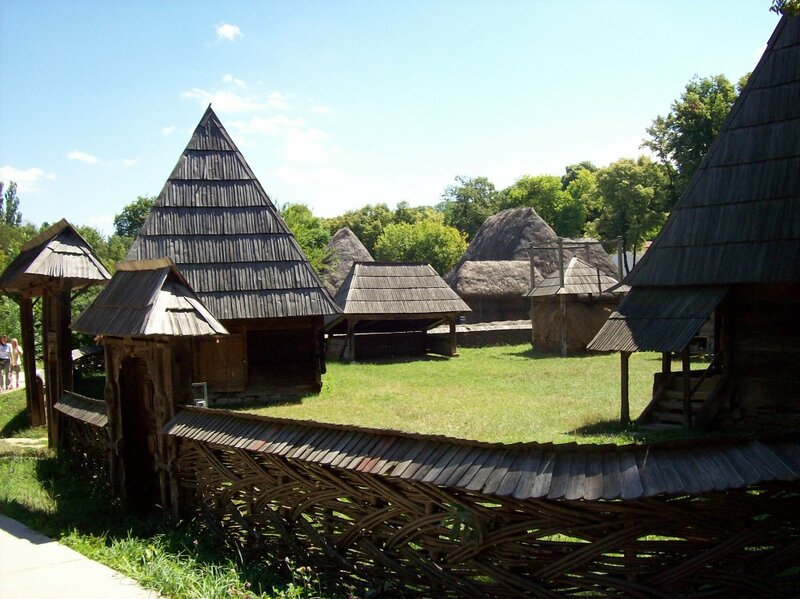 ), Village Museum, Military Museum and so on. Some of these museums also hold specific events every now and them, and it’s great to join them. 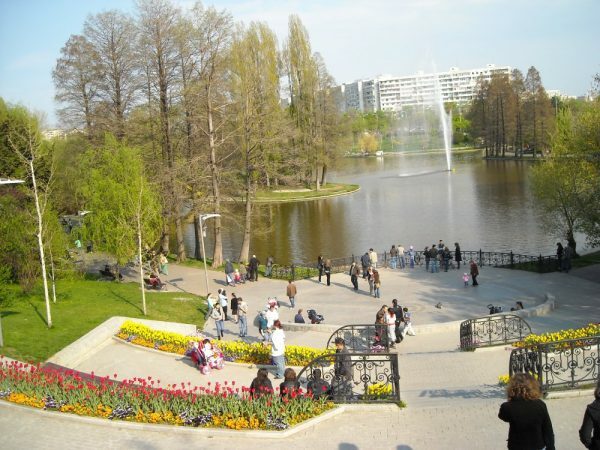 Some of the best kept and most beautiful parks in Romania can be met in Bucharest, even though unfortunately the central park – Cismigiu – is not in the best possible state at the moment of writing this article. But other options like IOR/Titan Park or Herastrau Park are there to charm you. Other attractions include the Arch of Triumph, the Atheneum, as well as numerous other smaller attractions that you will love to discover during your stay in the city. If you are the type of person who loves big crowds and lively cities, Bucharest is the place for you: it’s a city that never sleeps, a city that offers a lot in terms of entertainment and various activities. 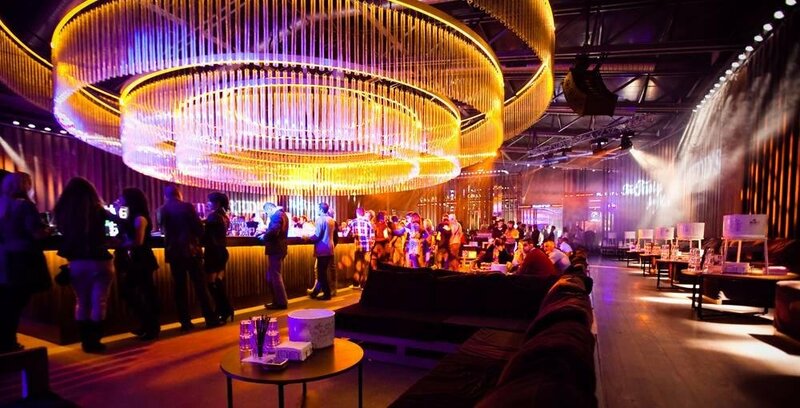 Remember that there are a ton of students in the city – and students love to party – so there are also a lot of extremely cheap options for spending a night out! It’s also the hub for international and national transport. Most of the cities in Romania don’t have airports and those who do never match the number of destinations that Bucharest offers. Also, all the train lines are made in such a way that they get to Bucharest, so exploring the country by train is a lot easier from this city. 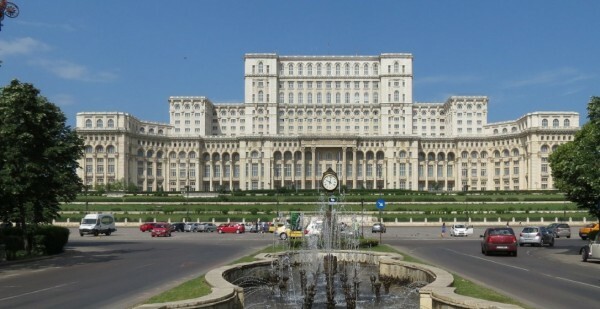 Just like most of the country, compared to other places in Romania, Bucharest is still extremely cheap, even though it is the most expensive city in the country. I have a cost of living guide here based on prices in Bucharest, but I think we could agree on the fact that you can easily find cheap products with ease (usually in supermarkets/hypermarkets that have the same prices throughout the country). If you don’t want to read my cost of living article, expect to pay around 200 Euros for a studio in the city center or as low as 500 Euros for a 2-bedroom apartment (but probably outside of the city center). Eating out in a decent restaurant can be as low as 20 Euros (for two), while Internet + Cable combo would be around 20 Euros, based on package chosen, you can get a good deal with a mobile company for as low as 10 Euros (I have an 11 Euros contract with unlimited minutes and text messages, 3GB of included internet traffic, as well as 100 free International minutes). Utilities (gas, electricity, water, garbage) can cost on average 100 Euros per month (a lot less during the summer – where you can go as low as 30 Euros per month). In my opinion, the biggest problem with the city is the fact that it’s huge. Getting from point A to point B usually takes forever: my mother in law considers that things that you have to spend 40 minutes to get to as “close,” which I consider a complete waste of time. The pollution levels are really crazy in Bucharest. It is one of the top 10 most polluted cities in Europe! And even though you can’t really “smell” the pollution levels, you can certainly smell the dog poop especially when it’s extremely hot outside or there’s been a light rain: people in Bucharest (well, in Romania, actually) don’t really pick up the poop their dogs leave behind. You can expect huge crowds every now and then, especially during holidays and peak hours. There are huge crowds everywhere and because of that, you have to spend a lot more time waiting in line everywhere. Supermarkets are always packed, crowds are everywhere. This is probably a problem that most large cities have up to a certain degree, but it’s a Con in my opinion nevertheless. Some of these problems are not deal breakers most of the time and it depends on a person’s preferences. There are people who couldn’t live in a small, quiet city and instead they thrive in large, crowded places like Bucharest. Just like all cities in Romania, Bucharest is not the best choice for everybody looking into moving here, but must be considered and looked at: weight the Pros, weight the Cons and make your decision! Previous articleBureaucracy in Romania: It Can Drive You Crazy! You know the older l get, the more l realize that l don’t have the need to be in the center of everything. Bucharest looks lovely, but very chaotic. I would love to visit, but l don’t think l would want to live there. I had to laugh, there is no way l would eat in the dark not knowing what l was eating 🙂 . The only thing l would love for someone to do (maybe you 🙂 ) is have a tour of places where movies have been shot. I know they do a lot of movie shoots in Bucharest, l would totally love to see the places, hah hah!!! I really can’t wait to visit the city. It’s beautiful!!! I imagine the crime (such as it is in Romania;-) is the worst in the country. I saw a show about the poor people who live under the city (New York has subterranean dwellers, too). They are sad, and all the drugs and other things they do is horrible. No human should have to live like that–anywhere. Yes, I fear the buildings would crumble in an earthquake. I know there’ve been some awful ones to hit Bucharest with a great loss of life. Where I live there’s a threat of quakes and tsunamis, too. I plan on moving further inland to at least being away from the threat of tsunamis–earthquakes are still ever-present in the Pacific Northwest. Have you seen the film “Made in Romania,” with Jennifer Tilly? I just saw it on DVD, and I found it amusing. I cracked up when the dogs were chasing after some of the cast. It’s the backstory of an American-British movie being filmed in Romania to save money, and to provide tax breaks to the producer. It’s well worth a view. It’s NO “Day for Night,” but it has its moments. I am curious about the utilities in the summer. Isn’t it expensive to run all the air conditioners during the hot summer months? I would have thought that would at least make the utilities be nearly as high as in the winter. Romanians are used to scarcely using the air conditioning and many families still don’t have a unit installed. In our case, the air conditioning is not running the entire day when it’s really hot – it usually runs on average probably about 6 hours per day during the peak temperatures, but most of the time, we’re going on an “as needed” basis. We are usually consuming between 5-6 Kwh per day when we don’t use the air conditioning units, and it goes up to 7-8 Kwh per day during the summer. Electrical consumption in Romania is way lower than in the US and there are more who use a lot less (my mom, for example, only uses about 60 KWh per MONTH during the summer). Thanks for your perspective on the pros and cons of Bucharest. I haven’t been there since before 2003, so I bet things have changed for the better. Back then there were wild dogs which roamed the streets and parks, terrorizing me, if not the Romanians. I got the “Stop, we’re the police. Give us your passport” routine twice in Bucharest. They obviously weren’t the police and just turned away when I said they were thieves. I really liked the hostels where one could stay for cheap. There was always an interesting foreigner or local to talk to or go have dinner with. I think I am definitely more of a small town person, but it wouldn’t be bad to live on a railroad line which brings you to a big city. Oh, one more annoyance while using buses in Bucharest: it was always a chore to find an open-for-business bus ticket booth. My Romanian friends would laugh at me and tell me to ride without a ticket like they did. Hello Stuart, the roaming dogs problem has been indeed fixed or mostly fixed. The cheap hotels/hostels are still here and I am sure that the same charming people can be easily met too. The article took a lot longer than I expected and I believe that future, more complex articles, might also take more. But I’m doing my best here to keep posting articles regularly! I was of course joking. This has become one of my favorite blogs. Thanks for this useful post. Could you tell which other Romanian cities you plan to describe for a possible retirement? Julien, I am open to suggestions! However, I will surely cover the following: Cluj, Timisoara, Arad, Sibiu, Brasov and Piatra Neamt (not necessarily in this order). Basically, the big cities and usually the top choices. Afterwards, if the series proves to be helpful/successful, I might also recommend a few more smaller cities too. Following your advice to give suggestions, here is the list of some of the cities which interest me most : Constanta, Braila, Buzau, Pitesti, Oradea, Targu Mures, Baia Mare and Alba Iulia. Thanks again for all the useful work you put in your blog. Yes I think he should do an e-book on Amazon! Just read on Numbeo that rent in Oradea is 77% less than in Cluj! Hmmmm…. It’s the crowds that matter, not the place where the picture was taken. It’s funny if that’s actually from Budapest, since many people mistake that city with Bucharest. Never lose hope, Amol! One day it can happen!